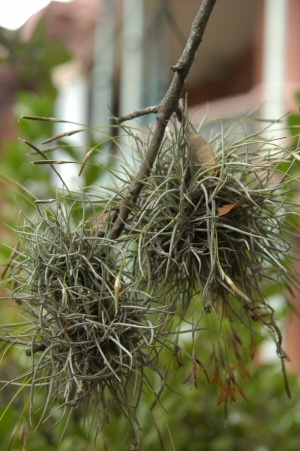 QUESTION: I have been told that Spanish moss growing on a large oak tree won’t affect the tree. I don’t believe that because my 40-foot-tall oak seems to be losing most of its leaves. What is happening, and how can I eliminate the moss while saving the tree?